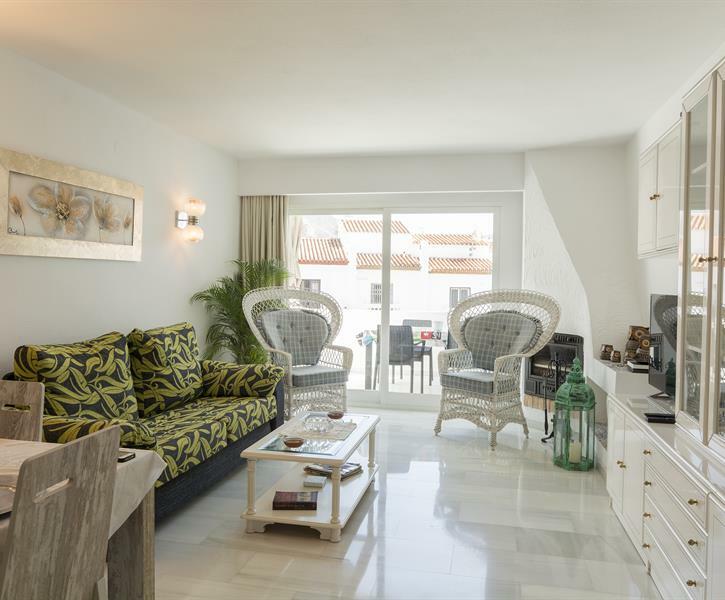 Very spacious one bedroomed apartment very close to Burriana Beach. Really loved the apartment. It was very modern and had everything you would require for a comfortable stay. Location, for us was perfect. Pool area was lovely too. Would not hesitate to book this apartment again. My husband and I had a short break at this lovely apartment. The owner was very helpful and arranged taxis from the airport for us. We had a lovely time the apartment was very nice and tastefully furnished and had everthing we needed for our stay. Would definatly stay again in the future. The flat is complete in everything, full furnished kitchen, balcony with table en chairs, very clean, towels en sheets changed weekly. Airco and perfect bathroom . We missed some sunbathing beds by the Pool. Beach and Nerja town near by.